Are you doing it? 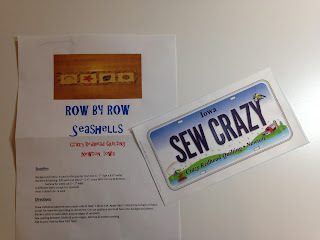 You know... the Row, Row, Row Your Boat Experience.... You can read all about it here. This is the second year for it. I didn't know anything about it last year so I missed out. But this year I know ALL about it and I'm not missing out. The theme this year is H2O. 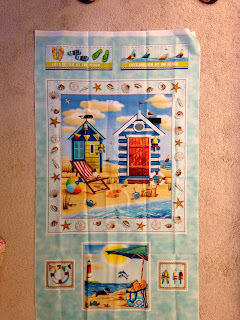 I am lovin all the beachy, water themed rows. I made my first two stops on Monday on my way home from my visit in Missouri. I've been there for 12 days. 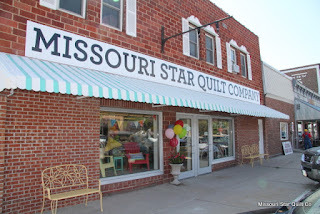 Sadly, I missed out on the row from the quilt shop in my hometown of Nevada, MO as I left bright and early Monday morning and she wasn't open yet. The participating shops aren't allowed to sell their blocks or license plates before the Row by Row Experience began and it didn't begin until June 21st. So my first stop was here. That place is awesome! 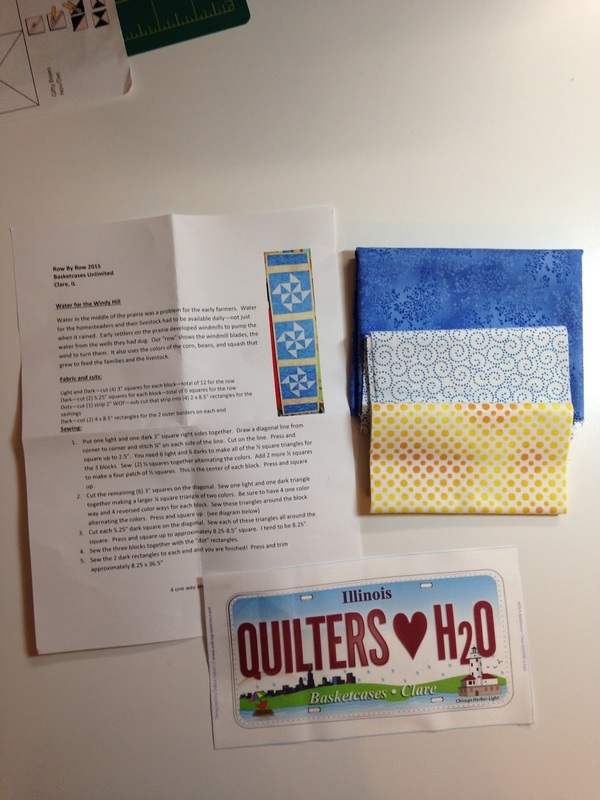 It's also a bit overwhelming, even for a seasoned quilter like myself. There are 5 or 6 separate shops, each specializing in a certain fabric style such as Batiks, Holiday, Solids, Reproductions, etc. Wow, I could have spent all day there. I didn't!!! I just quickly breezed in the main store, got my Row by Row kit and license plate, and daily deal charm pack and got back on the road. While I was there I was attempting to take a "selfie" in front of the sign. A very nice MSQC employee was walking by and noticed I was struggling to take such selfie and volunteered to take the picture for me. 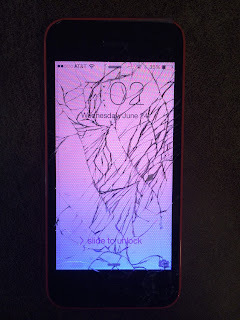 Sadly, he dropped my cell phone, face down on the side walk and this is what it looks like now. The man felt terrible and apologized over and over again. 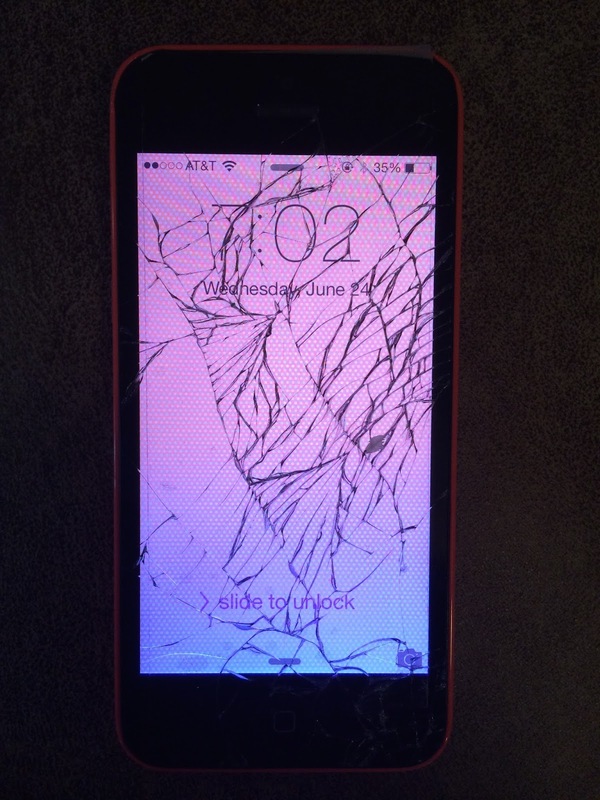 Although I wasn't too excited about the fact the phone was broke, I didn't get too upset. It was an accident, one I could have easily done myself. I've dropped my phone many times. I do have insurance on it so I'll replace it later this week... when I stop long enough to go to the AT&T store to do so. My second stop was Newton IA for lunch and gas. Thank goodness for Internet on my cell phone. I figured out there was a quilt shop only 1.5 miles from my pit stop and they were participating in the Row by Row Experience. I was glad I stopped. It was a nice shop and I made a future contact to sell my pattern wholesale. I'll likely stop again on my way back and forth to Missouri. I didn't buy the kit at this shop, just the pattern and license plate. 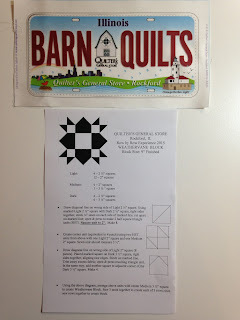 Then today, two friends, Bobbie and Shirley from the DeKalb County Quilt Guild and I took out on a double mission... There is also a Northern Illinois Quilt Shop Hop going on as well as the Row by Row Experience and many of the shops are participating in both. 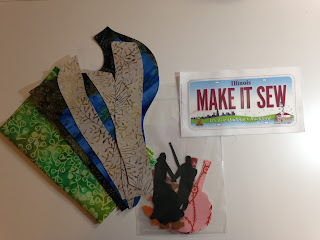 The neat thing about the Northern Illinois Quilt Shop Hop is that the grand prize for visiting all 37 shops in a quilting cruise! Now how awesome is that???? 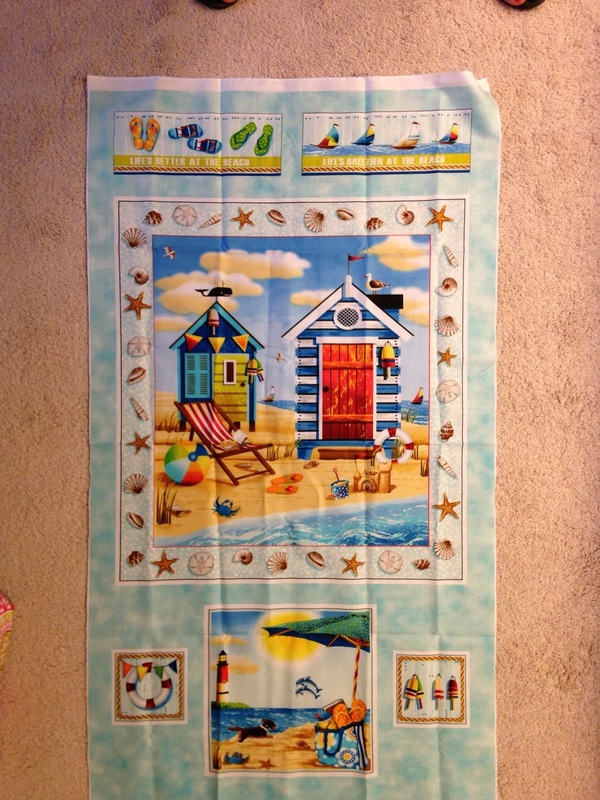 Bobbie won the grand prize last year.... a super duper nice sewing machine! Shirley and I are hoping her lucky karma rubs off on us! I also picked up this panel that coordinates with the Rows. 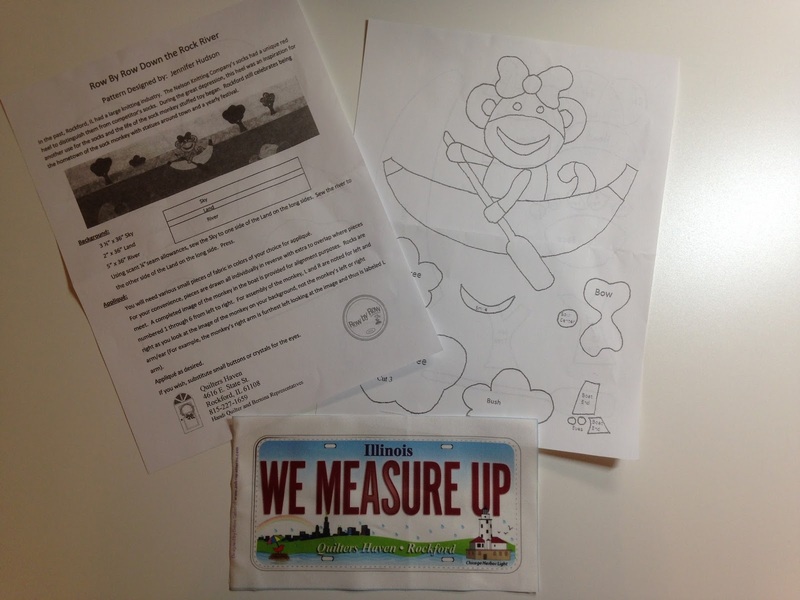 A few other stops at shops were made but the block or the instructions weren't photography worthy and/or they didn't have a license plate. 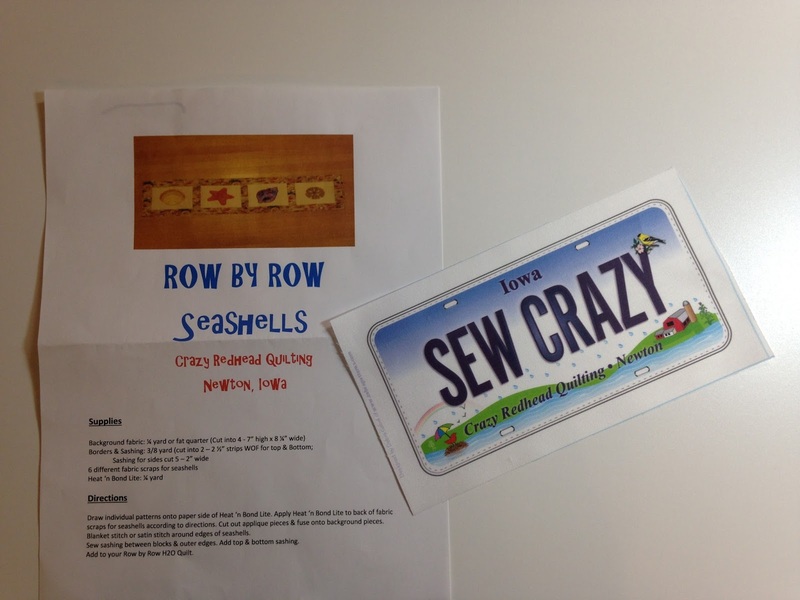 I have a plan for my row quilt that includes the license plates so I probably won't use those rows in my quilt. That doesn't mean their row wasn't cute, it just means I chose not to use it in this quilt. All in all, a pretty productive day! And I have Missouri, Iowa, Illinois, and Wisconsin so far. Before the summer is over I'll have Arkansas and Texas and maybe a few others. 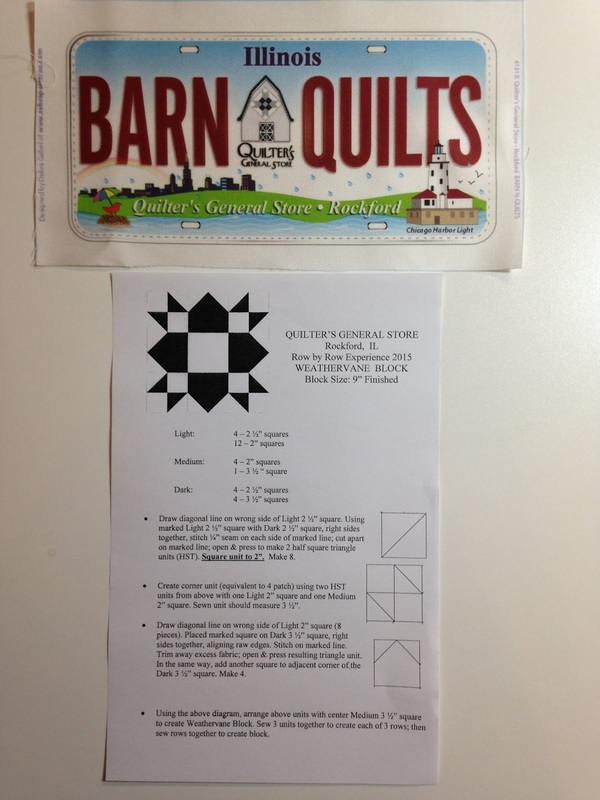 There's a shop in Texas that has a license place that says "Quiltin Queen". You know I have to have that one. Stay tuned to see how all the blocks turn out. I bought my first row ever this year and love it! I wish I could hop in the car and travel to more places, but I'll just have to wait until November to pick up a few more rows that I've seen and liked. Too bad about the phone, but he did take a nice pic of you! Wow Doris! sounds fun. Me too, sorry bout the phone & great photo(s). Doris, lI am with you! I only have one from Illinois so far, but on Saturday leave for Alaska! @ Will be able to pick up a couple on the cruise I will be one.. Already checked which shops we will be visiting that are participating. (it is a quilt cruise) Hope to pick up at least one in Seattle. When I get back Hitting Northern Illinois hop and Row by Row. You go girl!!! Bummer about the phone, but fun to pick up your rows! I love that sock monkey row, so neat that is where they come from! 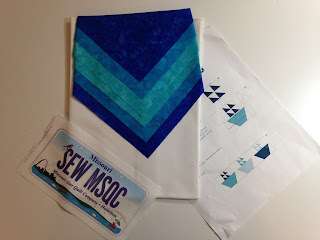 Bdi am in love with the Sew Craz plate. Can't wait to see your rows.